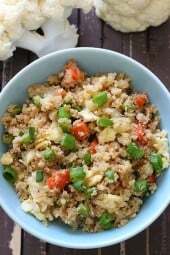 Cauliflower “Fried Rice” which replaces rice with cauliflower is my favorite low-carb side dish when I’m craving Chinese take-out! I posted this Cilantro Lime Cauliflower “Rice” recipe a while back, and it was a huge hit. So I decided to play around with that recipe and make this Asian version to go with the Orange Chicken I posted yesterday, and my husband (who detests cauliflower) was pretty amazed how the meal turned out. The portions are generous and you get a serving or two of vegetables into your diet. I LOVE fried rice, and often make my own fried rice at home with brown rice like this Edamame Fried Rice and this Spicy Shrimp Fried Rice. 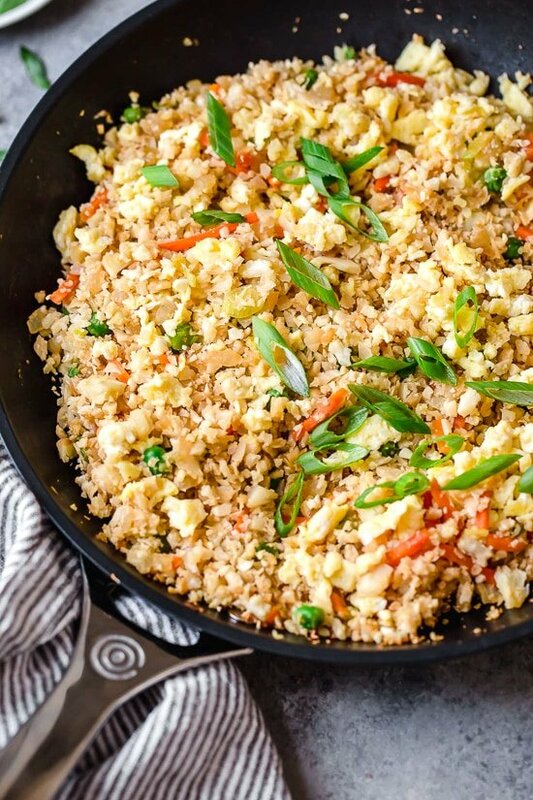 But sometimes when I want to cut down on my carbs, I swap out the rice for cauliflower to make this low-carb cauliflower fried rice. A keto, gluten-free and whole30 compliant recipe. How do you make cauliflower into rice? It’s simple! You cut the cauliflower into florets, then place a few pieces at a time in the food processor and pulse a few times until it resembles rice. You don’t want to put too much in the food processor as it will over-process it. Cauliflower rice is also now available pre-cut and bagged in the produce section as well as frozen, but my preference is to make it myself as it tastes better than frozen, and often the pre-cut fresh variety spoils fast. 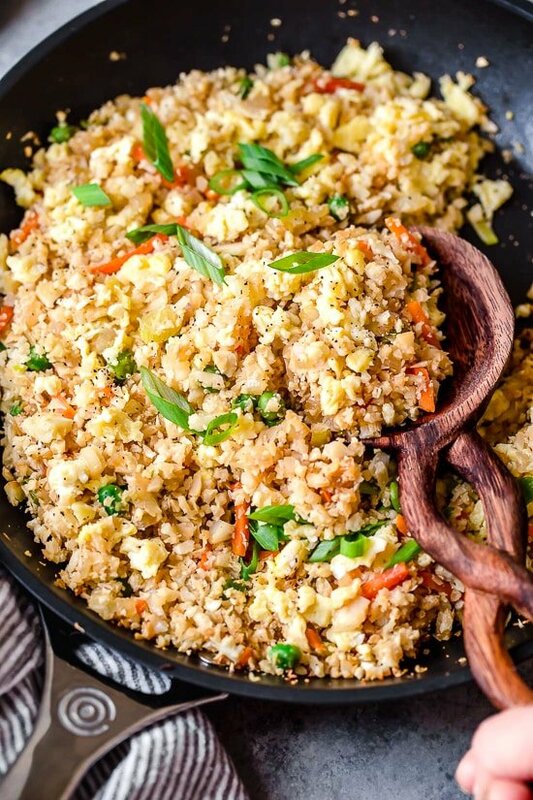 Cauliflower “Fried Rice” is my favorite low-carb side dish when I’m craving Chinese take-out! 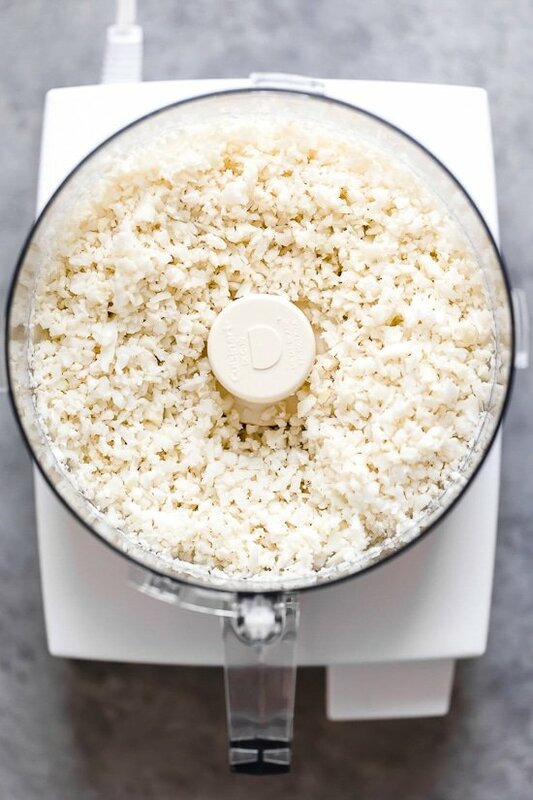 Coarsely chop into florets, then place half of the cauliflower in a food processor and pulse until the cauliflower is small and has the texture of rice or couscous – don’t over process or it will get mushy. Set aside and repeat with the remaining cauliflower. Add the cauliflower “rice” to the saute pan along with soy sauce. Mix, cover and cook approximately 5 to 6 minutes, stirring frequently, until the cauliflower is slightly crispy on the outside but tender on the inside. Quick question before I try this recipe… I’m not sure I understand what to do with the eggs. The mixed eggs are cooked on a pan – so is it like a thin omelette? Is it then cut when added to the cauliflower rice mixture? This was delicious! We had seconds with a teriyaki chicken breast. I didn’t have green onions and it wasn’t missed. Husband gave it two thumbs up! I LOVE this recipe!! I have made it several times. I will make it again tonight to serve alongside Teriyaki salmon and edamame beans. Like other reviewers have said, my husband also has no idea it is cauliflower. I buy a bag of riced veggies (cauliflower, broccoli, carrots and green onions? from my produce department (I’ve never bought the frozen, not sure about the texture). I will add a little sriracha and some ginger to mine. And I will probably use 3 whole eggs…..
Made this tonight! We have been doing Keto for about two months and I was tired of cauliflower [email protected]!! But this recipe…..changed my [email protected]@ We cooked everything on our outside griddle …OMG!!!! I am never cooking cauliflower rice any other way. You cannot even tell it’s not really rice. Thank you! 4 servings. You can always see this in the nutrition info of under the recipe directions. Hi There, Gina. I have made this a few times and we love the recipe. Thank you. I use frozen cauliflower and unfortunately, I can never get it to come out a little crispy. Any ideas? Best. 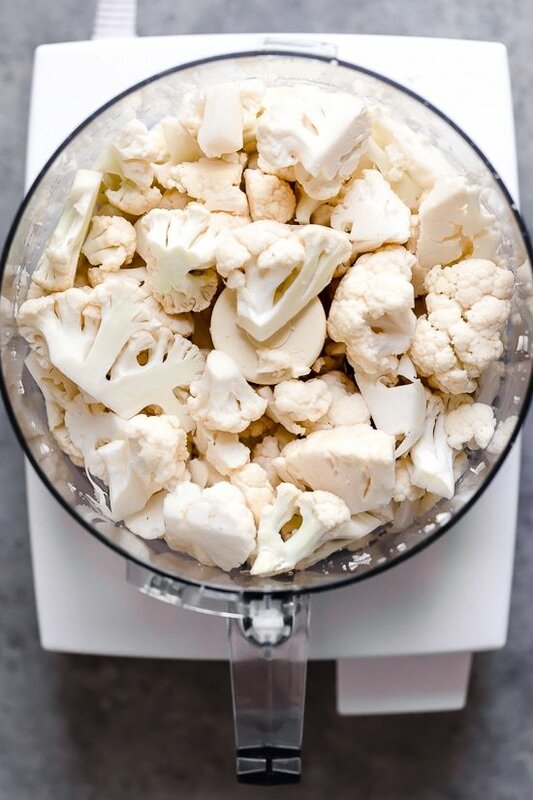 It won’t get crispy with frozen, it is better to use fresh cauliflower. After reading this comment of yours I decided to air fry my frozen cauliflower to dry it out a bit. I have to say that it came out delicious and it was not mushy at all. I can’t say it was crispy but it was a really good consistency. Thanks a lot for this amazing recipe. I only sdded fresh ginger to it and it is a great hit even for my toddler. I just finished making this recipe and I must say that I was skeptical at first. I am new to the whole cauliflower craze. INot following any particular fad diet. I am just trying to eat better. This recipe was delicious. I will always make this. I don’t like peas and carrots so I added some chopped up zuccini. I also added bean sprouts and large shrimp that I seasoned and put a little crushed red pepper on it for some kick. I will definitely make this again. Thanks for the recipe. Me & my husband tried this for the first time last night & LOVED it! We will be eating this a lot more often. “Thank you for the yummy recipe. Just tried this tonight. Absolutely wonderful!!! No going back now!!! My family loves this recipe!! I modified it a little but overall great recipe!! I have made this so many times – it is one of my favorites – I usually use 3 whole eggs and add sriracha and garlic paste because I like it hotter! This is a great base recipe. I didn’t have peas/carrots, so I added bok choy, edamame, some cooked broccoli and baked fish leftover from a few nights ago. And just one egg, and some sriracha. It’s a really flexible recipe, and tasty! Will make again. 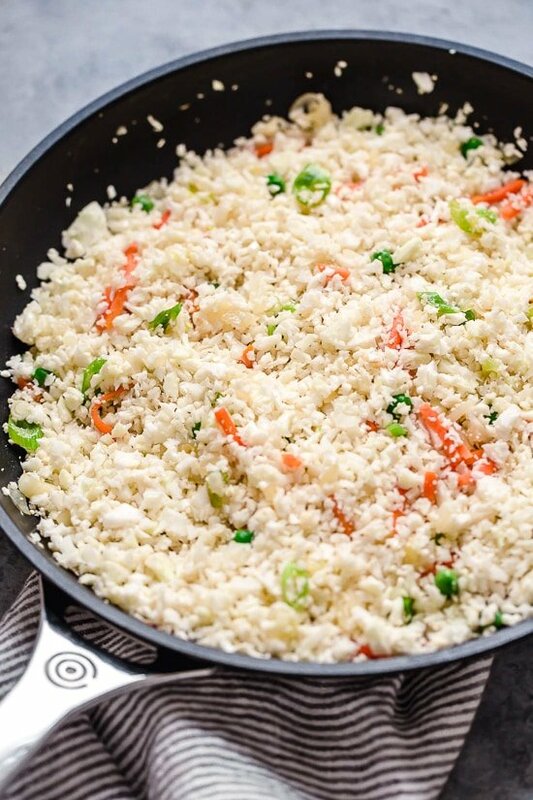 Can you freeze stir-fried cauliflower rice after stir-frying? Really tasty and I loved being able to have seconds without guilt!! This was a GAME CHANGER for me! I have been eating riced cauliflower and while it’s been “ok”, this recipe was amazing. I followed some of other suggestions with regards to frozen vs. fresh (time and effort for me) and added shrimp seasoned with McCormick’s Chinese 5 spice blend and dinner was delicious! Super easy and a big hit for my husband and I. Thank you!! Can you adapt this for the Instant Pot? I was wondering the exact same hung! I love this recipe and make it a lot but would love to know how to adapt t for Instant Pot!!! OMG just made this, amazing! Thank you for the hint someone left about microwaving the Frozen riced cauliflower and THEN wringing it out in a towel. Got a lot of moisture out. I did add mushrooms and ground turkey and hot sauce. My husband doesn’t even realize it’s cauliflower ? This was the first recipe I was ever introduced to cauliflower rice with last year and have fallen in love with it since! Last night, I was using ingredients from the pantry without having to buy anything and thought I had everything to make cauliflower fried rice. As it was being made, I realized I was out of soy sauce and didn’t have any so I could only substitute with teriyaki sauce. However, ina lunch and if you don’t have soy sauce, teriyaki sauce works just as well! Ha! Our son still loved it and the entire family went back for seconds and thirds! Great healthy easy recipe…but next time it will be even better when I have soy sauce! Ha! This is so YUMMY! It is good warm from the stove or cold as leftover. You can’t beat the points for this meal. Husband, 2.5 year old and mama approved. Also, easy to make! This will be a regular for our family. Since my husband and son aren’t trying to lose weight, I added brown rice to their bowl. This is such an awesome and delicious recipe! I made a couple of modifications for my own taste. Opted for EVOO instead of sesame oil, used a whole cup of peas/carrots, spring onions, 3 eggs and the addition of fresh mushrooms. As it’s just me eating I also cut the cauliflower to a 12oz. bag of the “snow”. I also added a cooked chicken breast to the mixture for an all-in-one meal. So good! The ENTIRE family devoured it! I’ve never had cauliflower fried rice before and wasn’t sure how the cauliflower would hold it’s texture. This is really good! It was also delicious the next day for lunch. I followed some of the suggestions and added diced boneless skinless chicken breast (stir fried first in the pan) to make it a one dish meal. I topped the hot “rice” off with some edamame and some steamed chicken cilantro wontons (from costco). It felt like decadent Asian meal, but oh so healthy. I’m sharing this recipe for certain. This was my first time using cauliflower as a rice substitute. All I can say was wow. I have already recommended this to my family and friends. I upped the frozen peas and carrots a tad to get more bang for my buck but this is a recipe I will definitely be saving for the future. JUST found this past weekend a bag of already mixed cauliflower fried “rice” mix at Publix! Gonna fix it up tonight for dinner!! Love this recipe! Even my boys, 20 and 13 love it. Sometimes I add chicken and/or bacon , if I have it on hand. i use frozen riced cauliflower with no problems. Really no fail. Can add a variety of veggies. This is my second dish I made from this site. This was another winner. Very flavorful taste, just like regular fried rice but minus the excessive amount of calories. I did use the frozen rice cauliflower from walmart I cooked it according to the package and used a cheese cloth to ring out the excess water so it’s not mushy. It turned out great. Family really enjoyed it and it gets you really full. Peas aren’t whole 30 compliant. at the suggestion of a friend, I’m making this for dinner tonight. As a suggestion to you, it would be helpful if you could formulate your “print” feature to print recipes on one page. Simply cut out unnecessary line spacing. Which is what I do when I cut and paste your recipes. I can’t thank you enough for such a delicious and healthy dish. I was so delighted about the taste and how low in calories this is(i’m counting calories). 100% recommended. At what point is soy sauce added? At what point is the soy sauce added? I made this recipe and the whole family loves it. I added chicken too. I used frozen cauliflower and it worked perfect. Thank you!! I made this tonight and it is delicious! I didn’t feel like dragging out my food processor so I used my Pampered Chef food chopper I’ve had for years. It worked perfectly and took me about 2-3 minutes to chop a whole head of cauliflower. So good! Just a quick question. It says 1 point for weight watchers, freestyle, but when I plugged it into the WW calculator, it says 3. I saw the points + is 3, so I’m not sure where my error is! Either way, still a low point amazing meal! This is delicious! I added chicken and topped it with Sriracha for a kick. So good and filling. When i calculated this recipe on Weight Watchers site it said that 1 serving of 1 and 1/3 is 3 points. How did you calculate to 1? 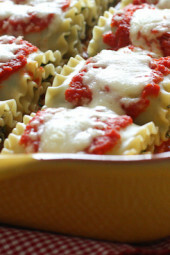 I’ve made this recipe numerous times and it’s always a hit. I use a bag of frozen “riced” cauliflower. I like to pair it with the Skinnytaste Orange Chicken Makover for a guilt free home cooked Chinese food night ?. I made this but added chicken, it was so good I will make this a go to meal. Would you recommend trying this with Broccoli Rice? Solid recipe. First time I was able to please the non cauliflower rice members of the family. Will make again. Pingback: Cauliflower & Caulirice – Eat at Texas Tech! This was delicious! Even my non veggie eating bf went back for seconds!!! I added a chopped, cooked chicken breast to make it a main dish. This will be in our regular menu rotation. Made this tonight. Fabulous! I can’t believe it’s so low calorie too. If I wasn’t straight and already married, I’d propose to Gina. They sell fresh bags of riced cauliflower at Costco. That’s where I got mine and it was perfect. Awesome – my kids ate it!!!! It was excellent. So I have to admit I wasn’t completely sold on this recipe last night when I made it but something magical happened in my refrigerator overnight and it was great today. Another skinnytaste win! I do not know what cup means. The weight seems to be different for every food type Does anyone have the nutritional data pr 100g ? I don’t, but 1 cup is 8 oz. One ounce is just over 28 grams, so 100g is just under 4 ounces. In other words, 1 cup is a little over 200g. Hope that helps. Made this a few months ago…honestly couldn’t believe it was cauliflower. I do have one question…In your Fast and Slow cookbook…it says to use 2 large eggs and 1/4 cup of soy sauce and online it says 2 egg whites, 1 large egg, and only 3 tbsp of soy sauce. The first time I made this I used the cookbook version…at little to “wet” in a wok, so I transferred it to a pan and let it cook down. Just wondering why it different?? Seems I make it different every time, its your heat should be much higher, you won’t have that issue. This was yummy! I just wasn’t sure if I was supposed to break up the egg at the end or scramble it as the first step? If you’re using a bag of frozen cauliflower rice, is there an additional step? I made a Mexican rice pilaf using frozen cauliflower rice and it was a miserable failure. I suggest using a cheesecloth or paper towels to soak up the excess water. 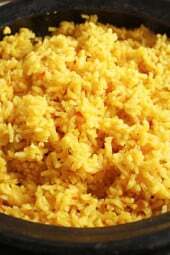 I make this a lot..my kids all eat it thinking its real rice! Even my picky eater who hates veggies. They go for seconds and thirds ???? I was surprised by two high school hockey guests they gobbled this up never knowing it wasn’t rice – of course I took photos and let their moms in on my secret! Is that one half each of the peas and carrots or one half total? I love this recipe! I used a bag of riced cauliflower from Trader Joes to make it quicker. My only modifications were to add shrimp for protein (cook first and set aside, add at the end like the eggs). I also added 2 tbls of Rice Wine Vinegar along with the Soy Sauce. Yummy! This sounds great! Any sugggestions on adding chicken? I was thinking of adding a pound of BL/SL chicken breasts but am open to suggestions on how to do it. like any stir fry i would cook the chicken separately first and add it at the end 🙂 You can even use the juices from the chicken to cook your califlower for additional flavor. I make so many of your recipes. Made your cauliflower fried rice last night. We absolutely loved it. My husband went back for 3rd’s! Hi – Can I use fresh veggies instead of frozen? Carrots, celery, onion sauteed? Also, could I add in canned water chestnuts and chinese canned corn? Thanks! I went looking in the freezer section of our grocery store since Gina uses a Green Giant product for a different recipe and found frozen, riced cauliflower. 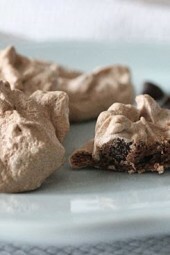 I used 1 bag of for this recipe – saves time and as with so many of your recipes I’ve made Gina, so so good! 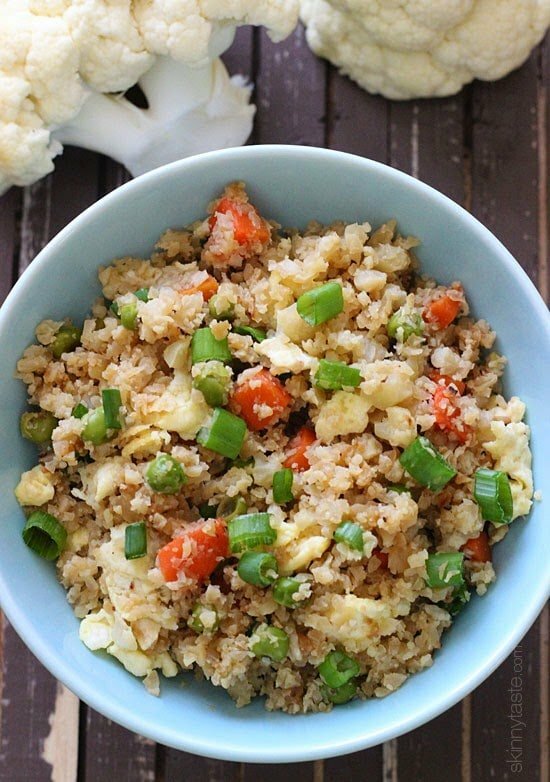 My daughter loves fried rice and thought this was an amazing option and she doesn’t love cauliflower. Hi Kathleen and Gina: How did you work in the frozen rice to make sure it doesn’t get mushy? I also made this tonight with the new frozen cauliflower rice, it was great and so easy! I cooked the rice in the microwave according to the package directions, added a few more minutes to the cooking time of the onion/pea/carrot mixture since it wouldn’t get those additional minutes w/ the cauliflower, then mixed in the cooked cauliflower rice and soy sauce for about 1 min till well combined. Fantastic! I used two 10 oz bags of the frozen cauliflower rice. Came out great!